Aya delivers an exceptional lesson experience and ranks in the top 15% of our teachers nationwide. 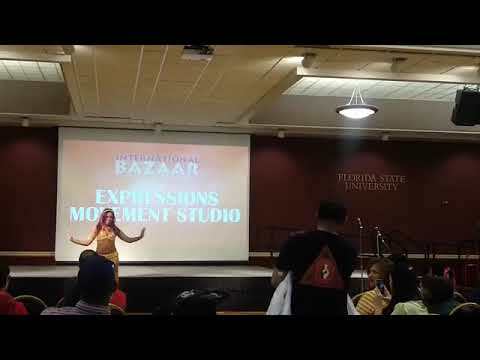 I have been performing Belly Dance for over nearly 10 years both in my home town in Tallahassee, Florida and abroad. I am very passionate about this art form. It is more than a fun hobby, it is a great way to socialize, gain flexibility, and confidence in one's body and self. Currently, I work as a dance instructor and am pursuing a degree in Occupational Therapy. I am also an avid yoga enthusiast and will complete my 200 hour teacher certification in the upcoming months. I offer both online and in person classes. Please contact me for more details about class options! Create and teach Belly Dance lessons to students. Create choreography and drills for students to practice. Students ages varies ranging from teens to mid to late 50s.